You’ve spent the time finding the right production company to produce your online video. Your team in partnership with the production company created a great script. The shoot has come and gone; final edits are in, and now you’re left with a polished video to share with the world, what now? What purpose does it serve? Where will it live online? These questions may pop into your head even after everything’s said and done, but it’s never too late to optimize and analyze online video! With online users streaming 38.2 billion videos per year, it’s safe to say online video content has quickly become a valuable part of every content marketing strategy. From small start-ups all the way up to Fortune 500 companies! Let’s not forget. Your video content can be first-in-class but fall flat if not utilized and presented correctly. Define where your video will live, what purpose it serves, and who it’s intended audience is. By doing this, you can help develop a clear plan of action for your online video. 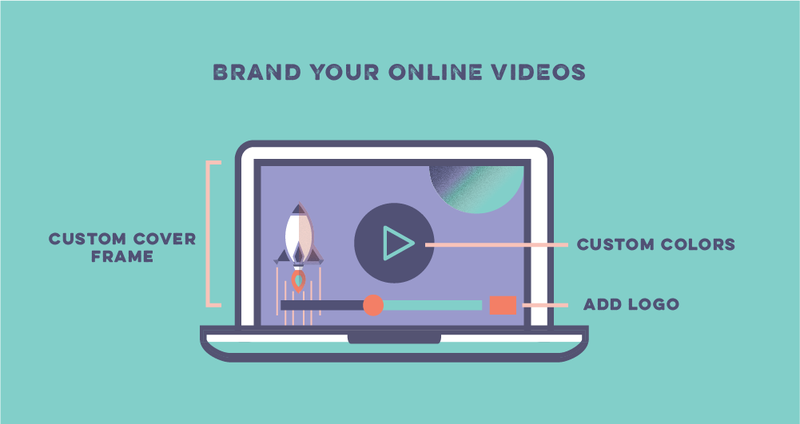 Video hosting services like Vimeo and Wistia are beginning to milk video content for all their worth by enabling videos to be a point of conversion. Videos can help feed sales funnels, populate email lists, and drive sales tremendously. We have broken down some features hosting sites (like Wistia and Vimeo) offer. These features allow you to engage and convert viewers, along with insight and analysis provided by Wisita. Wisita enables users to brand their pages and video players. You can pick custom colors, add your logo and select a cover frame that fits each video you upload to Wistia. These tools allow you to inject your identity into your audience’s viewing experience. We encounter call-to-actions regularly! You see them on YouTube, and we hear them on Spotify. These actions can prompt viewers to take advantage of a sale, sign up to receive a free e-book, or subscribe to a blog. Audiences can follow a guided journey through strategic and well-designed calls-to-action (CTAs). Clickable CTA buttons allow your video to generate leads and drive conversions. Learning how to utilize and optimize your video’s CTA is vital to getting the most return out of your video content. Wistia allows users to add call-to-actions to their video in three forms: Text, Image, and HTML. 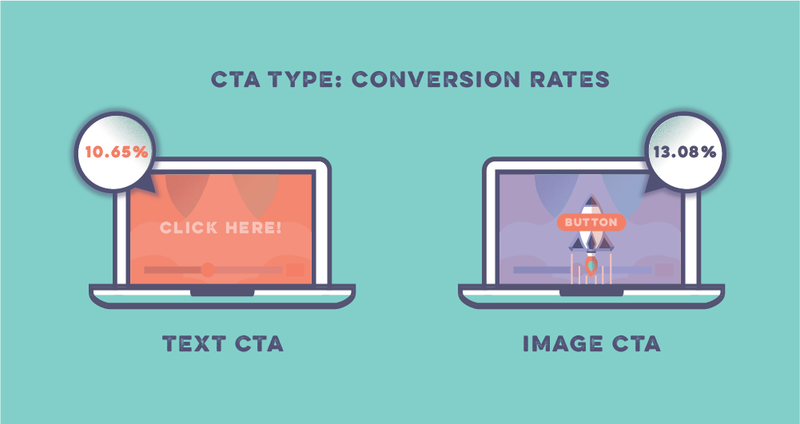 Wistia reports that 26.2% of user videos use image CTAs and 73.5% of user videos use text CTAs (0.03% use HTML). There is a sweet spot in video marketing where engagement intercepts interest and the secret to capitalizing on that moment is timing. You want to be careful not to hinder your audience’s viewing experience with unwanted distractions. This is why it’s important to find the right time to present your CTA. Wistia allows you customize where you position your CTAs: At the beginning, during, or the end of the video. 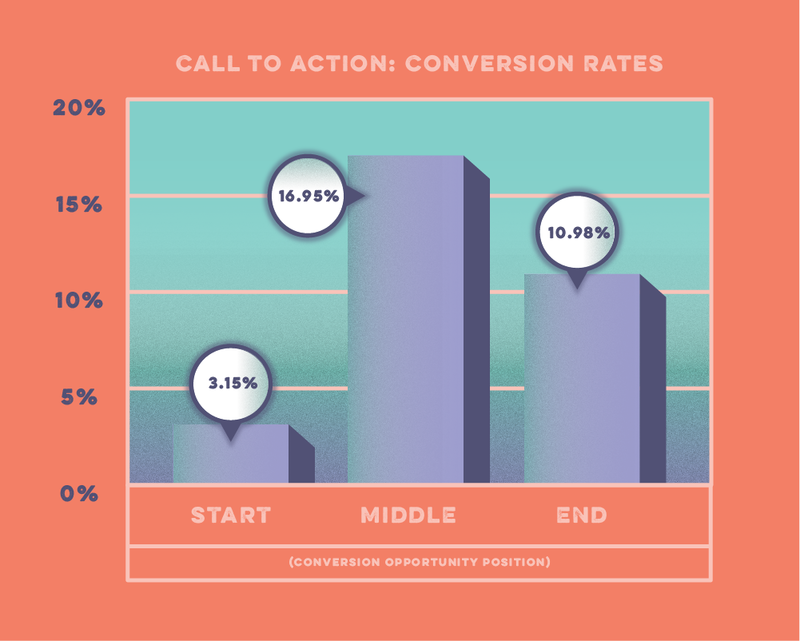 The graph below breakdown conversion rates based on Wistia’s call-to-action positioning. How you word your call-to-action is just as important as where you position it. The copy found on call-to-actions can express urgency or importance. The CTA can call upon human emotions or present opportunities as “too good to pass.” Choose your words wisely when creating CTAs. 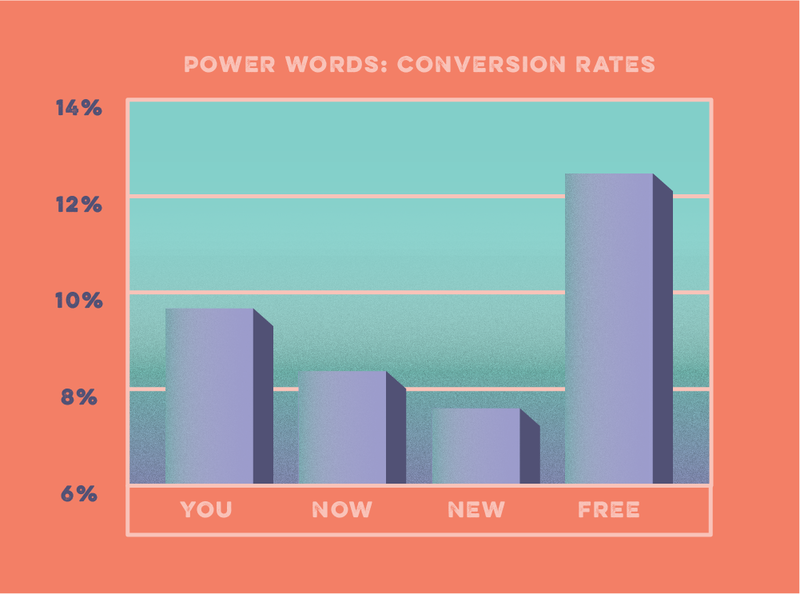 Check out the graph below breaking down the conversion rates of familiar words seen on call-to-actions. 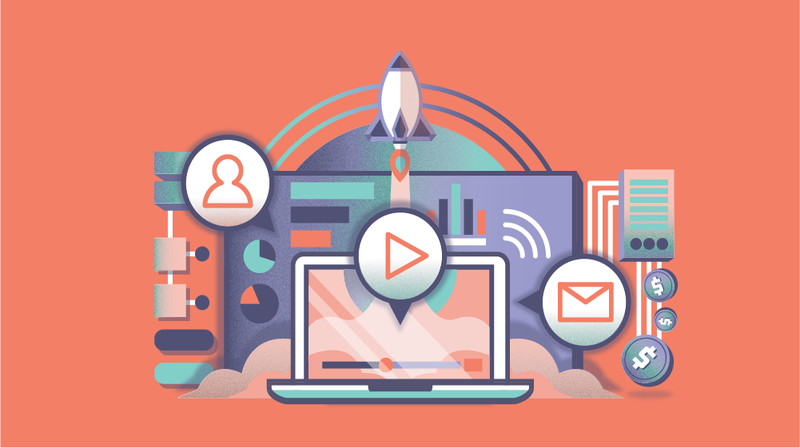 To learn more about the in’s and out’s of video CTAs check out The Wistia Guide to Calls to Action in Video Marketing! And be sure to find out how to Customize the Vimeo player to your heart’s content. Optimizing and analyzing online video is sort of like fishing. You pack your poles and head down to the spot where you hear the fish are biting. You bait your hook, cast your line and wait for a nibble. When you come up empty, with no fish to show, you start to consider trying a new spot or perhaps switching the bait you’ve been using. You can perform AB testing with different strategies to see which one works best for your online video. You host, embed, and share your video during times and in locations where your target audience is most likely to be engaged. You set call to actions to generate leads and drive conversions. But the proof is in the pudding. Metrics allow you to measure engagement and track your video’s performance. We’ve created a list that outlines questions to ask yourself which metrics to measure when analyzing your video’s performance. How long are viewers watching your videos? What is the percentage of unique plays your video is getting? Are people watching a quarter, a half, or watching the full video? What is the overall duration of play for your online video. Do end-users take action before/during/or after watching? 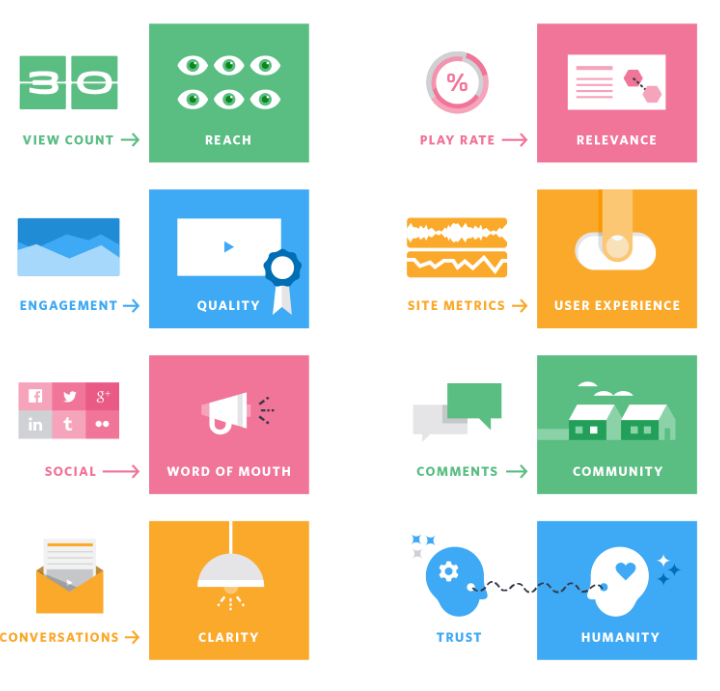 The graphic below is from The Wistia Guide to Video Metrics. It shows what each metric equates too! These are basic questions you should answer, but it all comes down to the intended purpose or goal of your video. What is it supposed to accomplish? Generating leads? Converting viewers to customers? Driving brand awareness? Or directly engaging a target audience? Every piece of content, especially video, needs a strategic plan that speaks to the type of video content your brand aims to produce: educational, entertaining, practical, etc. Ask yourself who this content is intended for (with as much demographic detail as possible) and what the content is helping the audience accomplish. If the project exceeds the capacity of your in-house departments, it is best to seek outside creative agencies to aid with content creation and distribution. Here’s an article we published a while back that explains how our process works and the things we consider when producing a video. Please contact us to setup a free consultation for your next online video.